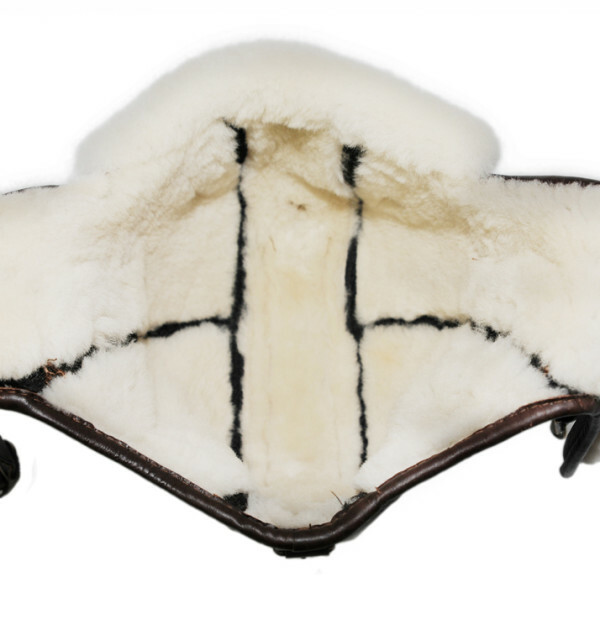 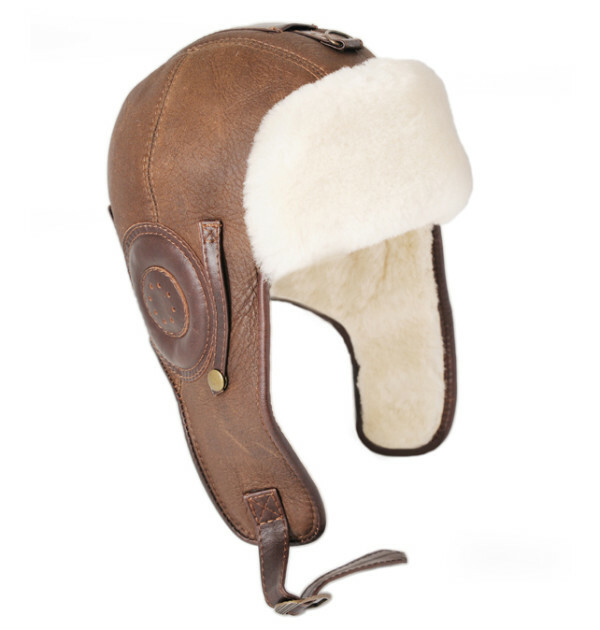 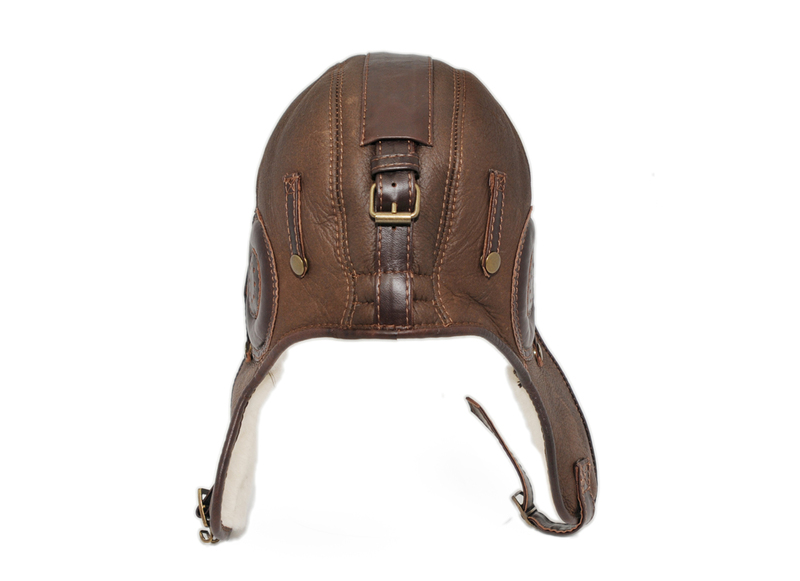 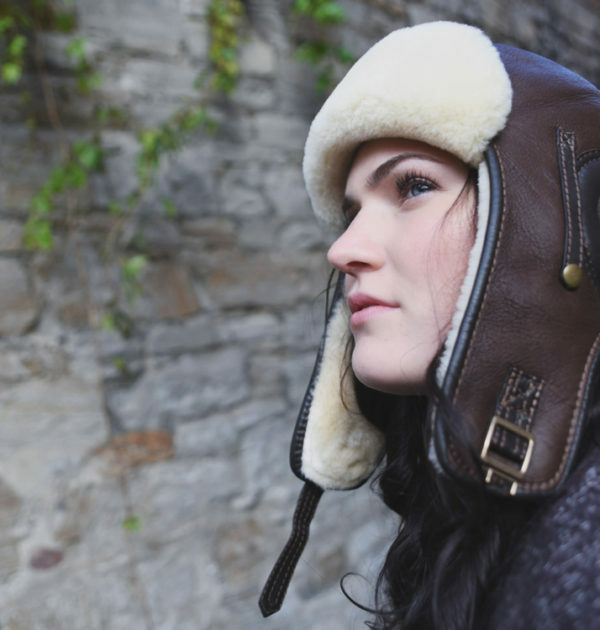 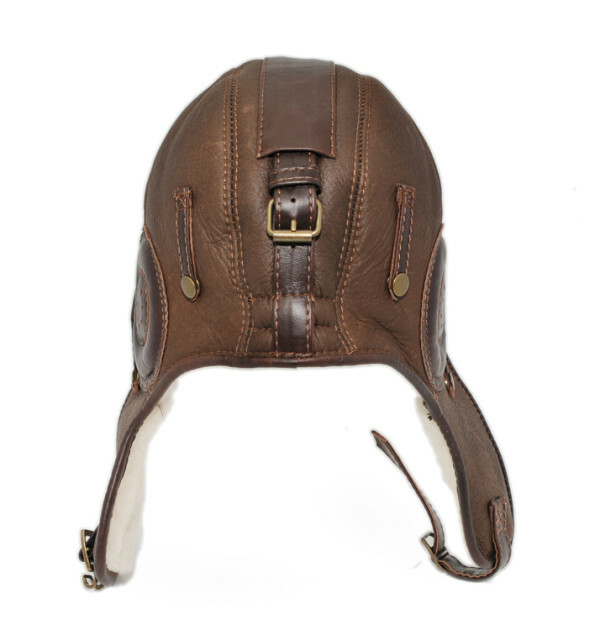 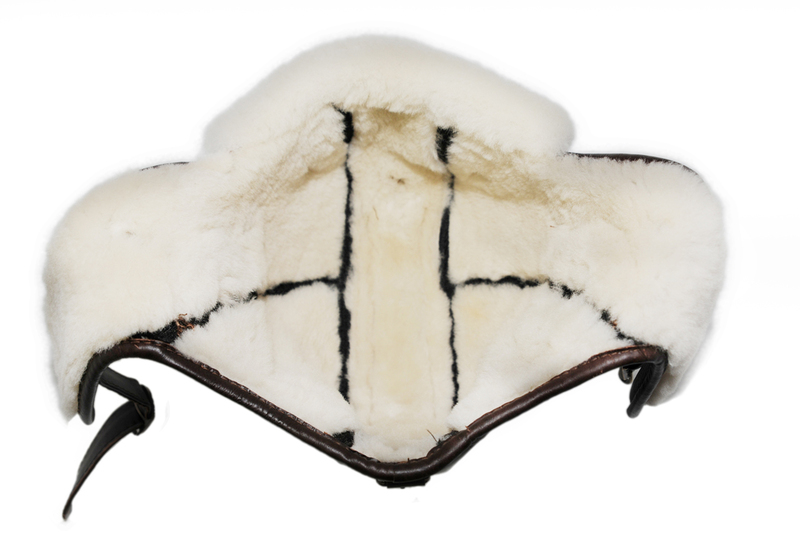 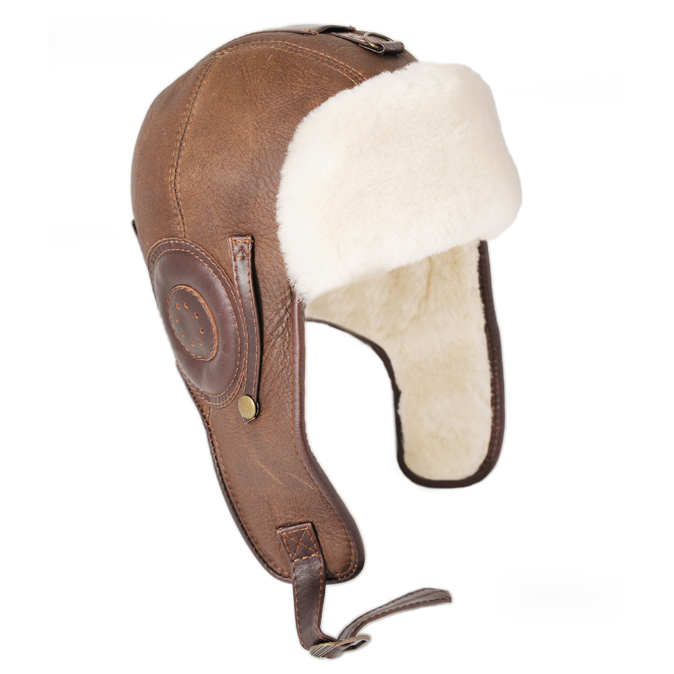 The Pilot is made with double faced sheepskin, using only the highest quality skins and finished with detailed stitching and decorative snaps, buckles and padded ear pads. 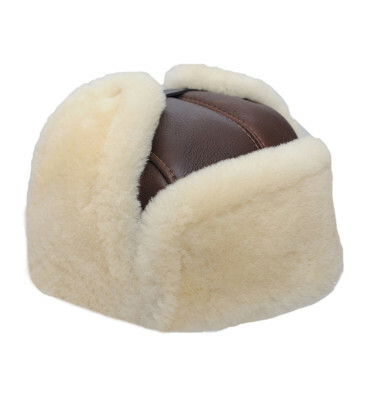 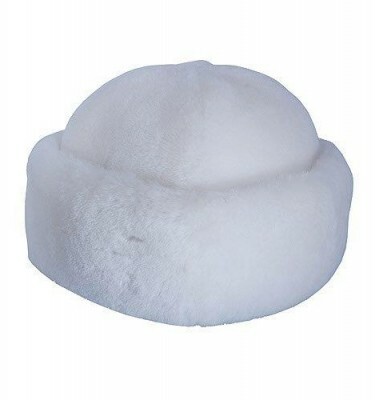 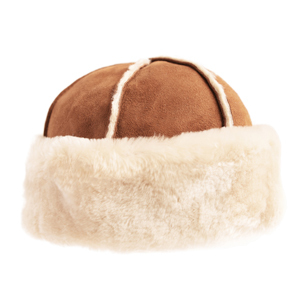 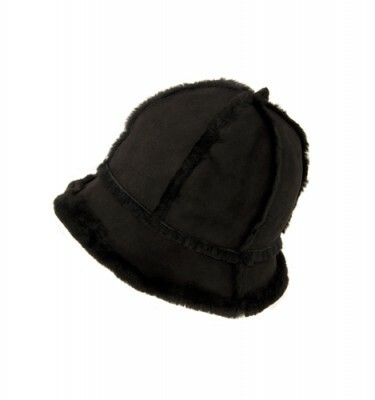 It is our warmest and most luxurious hat. 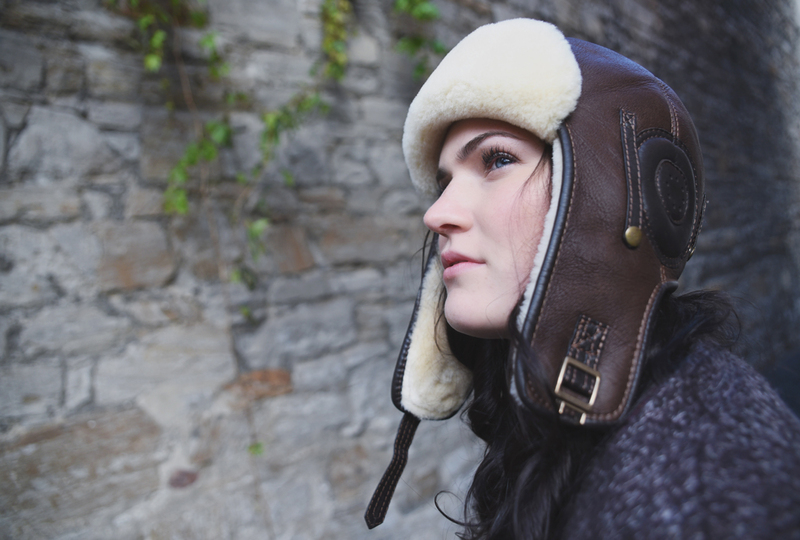 The Pilot comes in three different colours: caramel, distressed brown and black.